Our range of products include tube plug and casing end. We are offering wide range of Tube Plug. Our team of experienced professionals develop this range with utmost prominence in compliance with the world-class quality standards by making use of finest quality raw material. We are engaged in providing customized tube plugs to suit various industrial requirements of our esteemed clients. 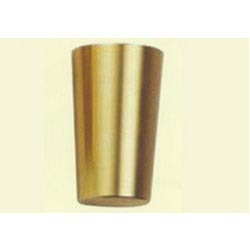 We are offering wide range of Casing End. These casing end are designed in compliance with industrial standards, these are made using premium quality metal alloy and other allied material by our team of industry professionals. The offered cap is available in various designs and other specifications as per the clients' needs at reasonable prices. Looking for Industrial Plug ?